Bringing together loads of respected names in bike kit shopping under the umbrella of our shop means you're getting the best possible kit at the best possible prices. This TCX touring boot is made from full grain leather with a Gore-Tex membrane built into the lining to make them waterproof. 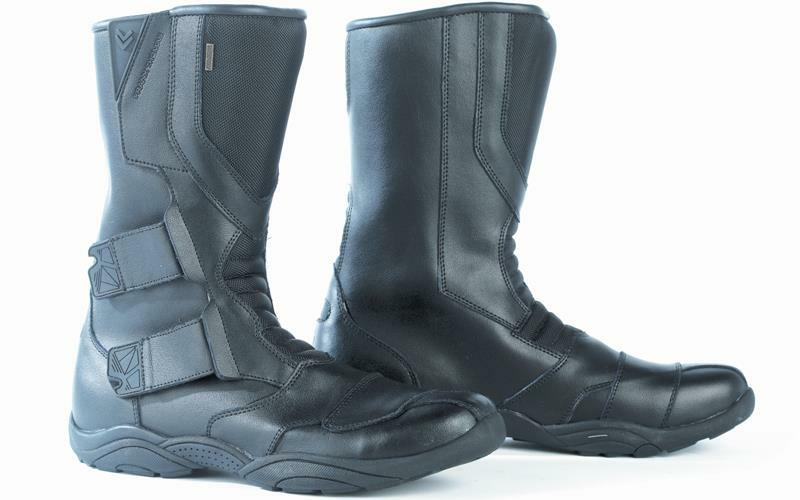 Two adjustable buckles secure the boot and there is protection inside and on the outside of the boot. 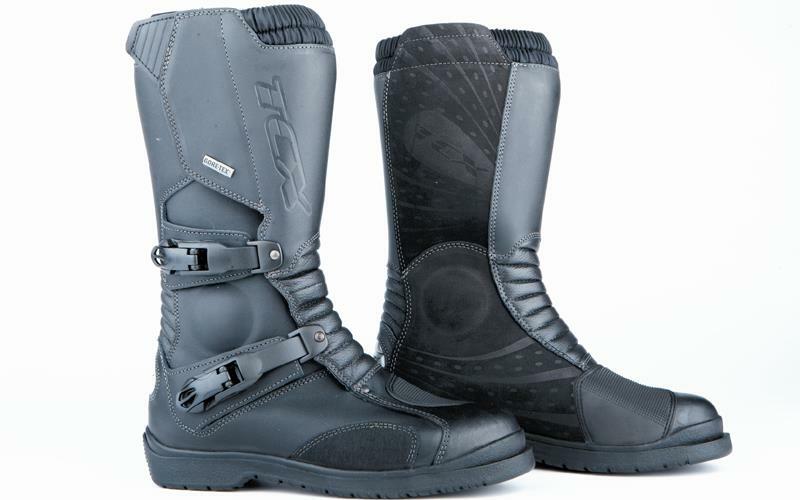 RST are probably more recognised for value racing kit but they also have a touring range, including the Vortex II boots. 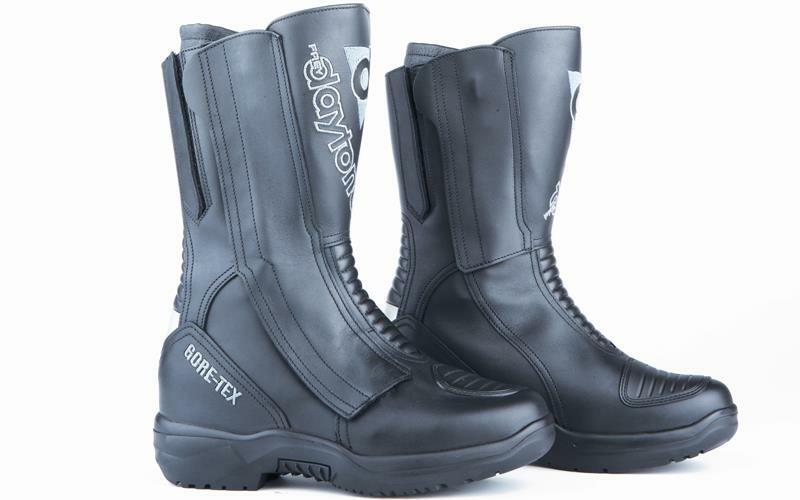 The outer leather in coated for durability, there is an inner plastic moulded shin protector and a waterproof and breathable membrane with a polyester lining. There is a rubber gear change pad, too. 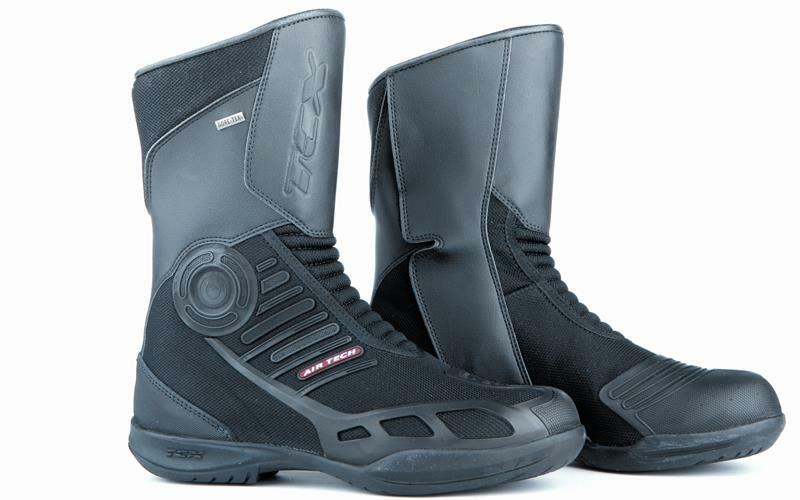 This is the only sport boot in the current Spada line-up and features a leather outer construction, hard plastic shin, ankle and calf moulded protectors, replaceable toe and calf sliders and a moulded ankle support. 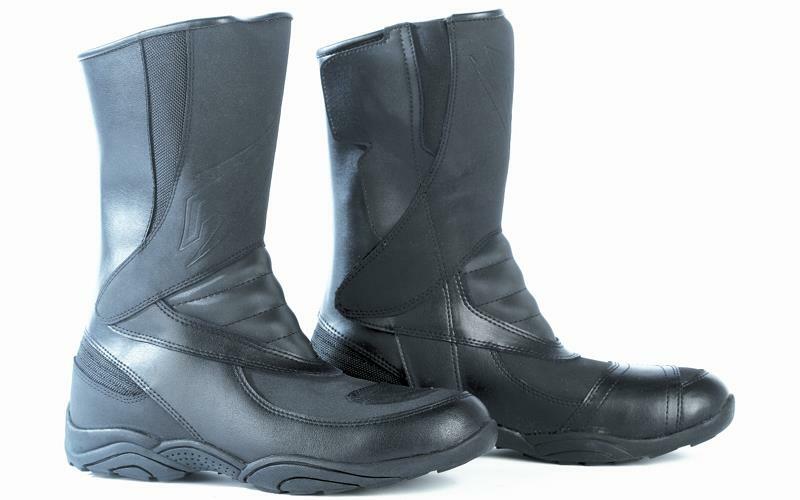 This is a hugely clever boot with an integrated insole rising by 2.5cm for the heel and 8mm for the toe to make it easier for women shorter in the leg to touch the deck on the bike. There is adjustment in calf area and there is a Gore-Tex membrane that’s waterproof and windproof. 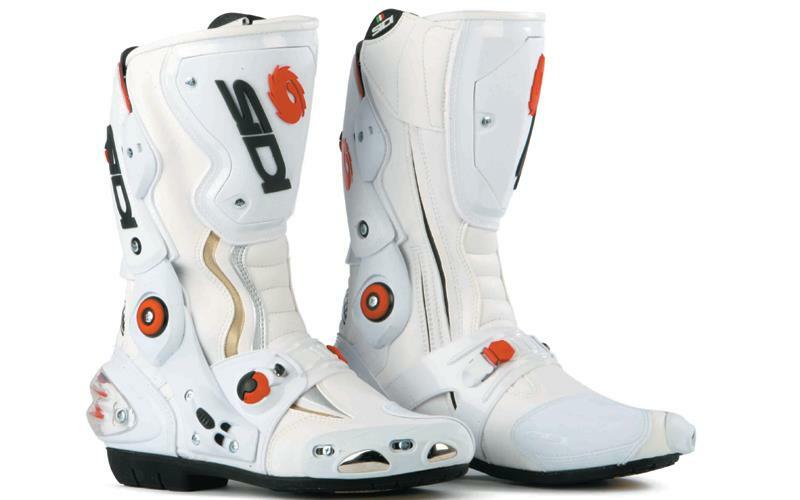 The Vertigo Corsa was Sidi’s long standing flagship boot until the Vortice came along this year. It has an anti-twist ankle support system, a shock absorbing heel cup, interchangeable carbon fibre shin protectors and ceramic inserts in the toe sliders to reduce wear. The outer is Lorica leather and the perforated lining is Teflon coated to prevent the water and sweat being absorbed. 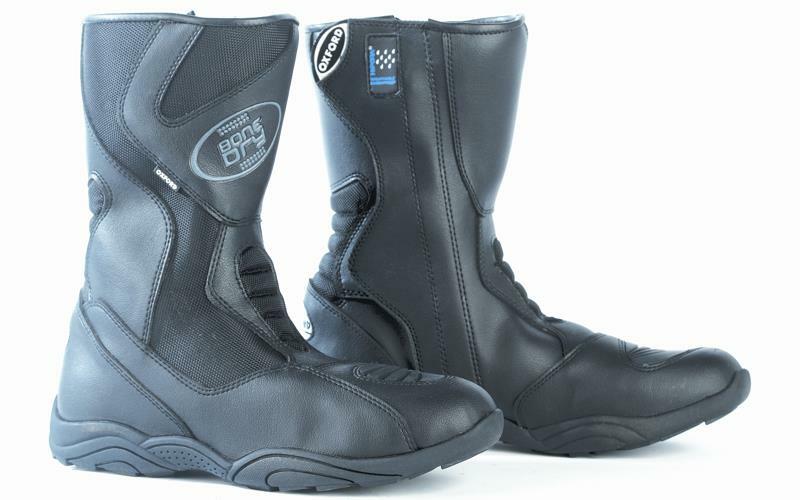 Oxford Products has only just recently entered the bike clothing market, and from the looks of it have already impressed with these year-round boots. They have a waterproof and breathable membrane, a reinforced ankle protector, and there’s a full length zip and Velcro storm flap to keep the closure area dry, too. Frank Thomas only launched this boot at the tail end of last year, but it’s already been well received. 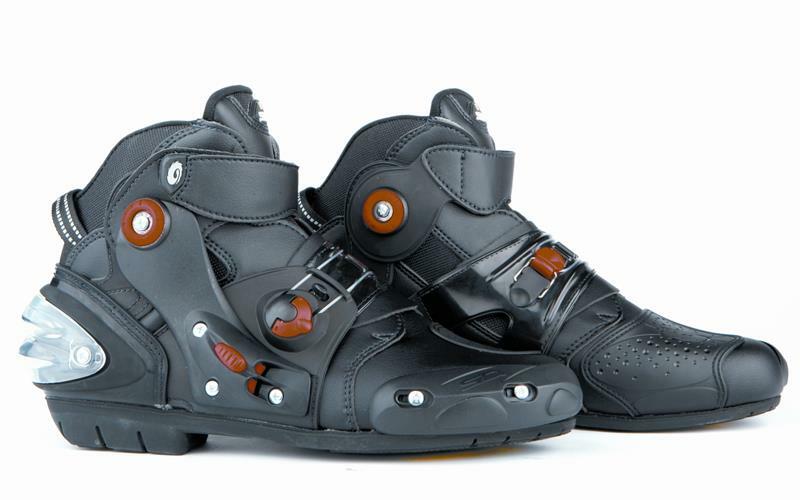 It’s got a full leather construction, has a waterproof and breathable lining and two D-ring and Velcro closure boot tab. 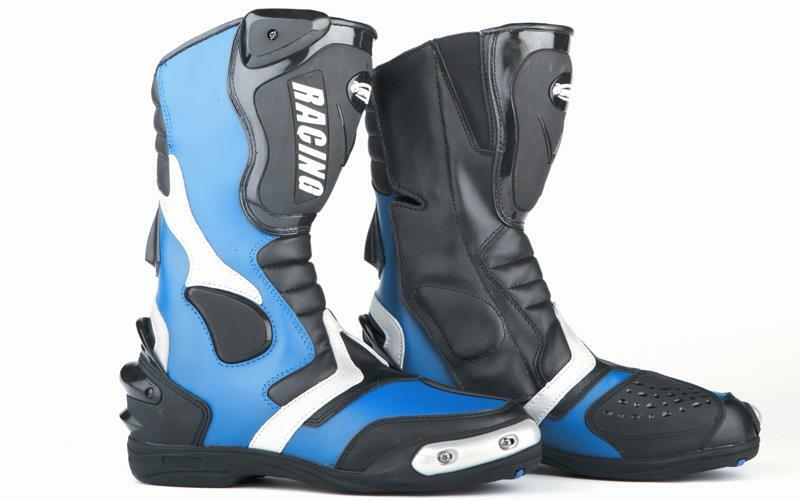 It has inner and ankle protectors, a gear lever panel and anti-slip sole. Although this is a waterproof boot it’s still considered a sport boot for all year round usage. It has a TPU shin deflector with internal padding and an anatomical TPU heel protector. There’s also memory foam padding around the ankle and the inner liner is Tepor lined throughout. The main construction of this commuter boot is a combination of leather an a breathable nylon. It has a Gore-Tex waterproof membrane and an XCR breathable liner. There are rubber impact absorbing outer protectors, a shin plate and a reinforced heel counter. 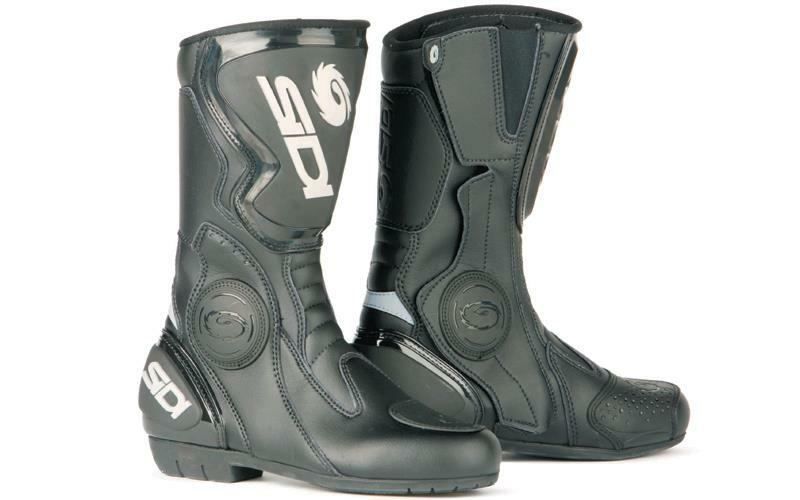 This is Sidi’s shortened race boot option, sharing many of the same lower features of the Vertigo Corsa. It has the same shock absorbing heel cup, ankle support brace, Tecno-II fastening system and ventilated system that runs through the replaceable toe sliders.